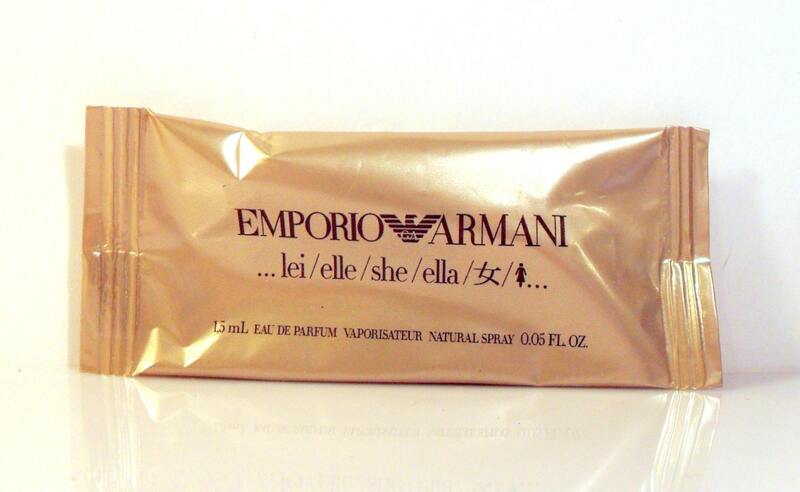 Vintage 1990s Emporio Armani Lei 0.05 oz Eau de Toilette Spray Manufacturer's Sample Vial in plastic packet. This fragrance is also known as "lei", "elle", "she", "ella" due to the names being on the packaging. The vial feels pretty full - but the packet is opaque so I cannot see the actual fill line. Lei is classified as an oriental vanilla fragrance for women. However, I have purchased all of these second hand items over the years to do reviews on them for my perfume websites. Now it is time for someone else to enjoy them. Some samples may have been tested at least once in order for me to complete a review on them, others may have not been tested and are simply doubles of what I already have. Please understand that I do not test any of these when listing and do not sell them for the fragrances contained in their bottles as these are old and most of the time they have turned and are no longer wearable. Please keep this in mind before you purchase, as there will be no returns accepted on these items. (Please see my policies on vintage fragrances before purchasing). These are being sold as collectibles only.